Are you a Romantic or a Cynic? One test to determine which you are is to the watch the film Before Sunset and answer a simple question — do Jesse and Celine stay together at the end of the film, or not? Because the film’s ending left their fate unanswered, it was up to us to determine their fate, and it became the perfect test of our romantic nature. But what does this have to do with a cocktail? From the first time I saw the film, I was certain they stayed together, and often found myself in heated conversations with friends and strangers on this topic, trying to convince them to give this film the romantic ending it deserved. I even imagined a cocktail with two contrasting spirits (Pisco and Rum) that represent two opposite souls (Jesse and Celine), intertwined in a fluid and dreamy mix of sweet with a touch of bitter the color of sunset. 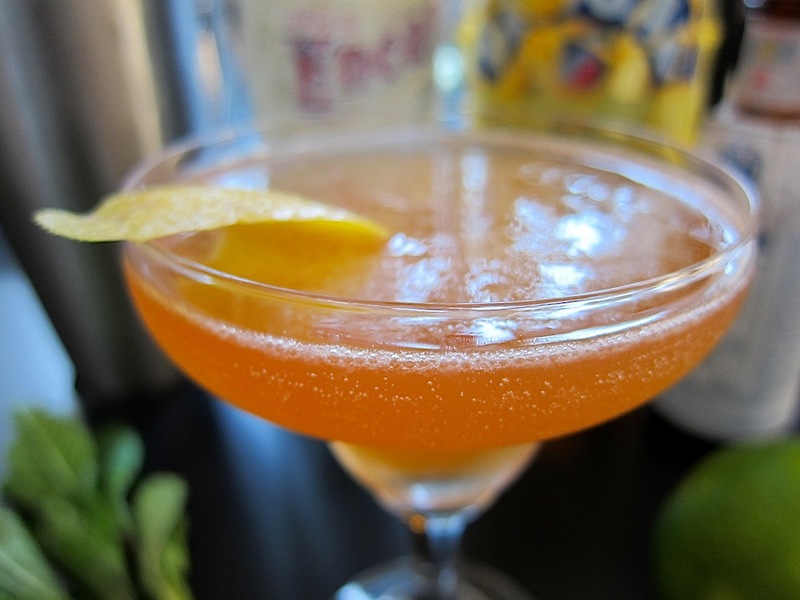 Presenting, a Pisco cocktail to honor the romantic spirit in all of us cynics — The Before Sunset Pisco. To make the mint infused simple syrup, combine 1 cup water, 1 cup sugar, and 1 cup loosely packed mint leafs in a pot. Bring to a simmer and stir to dissolve the sugar, then let steep for 10 minutes. Strain into a mason jar and let cool before using.